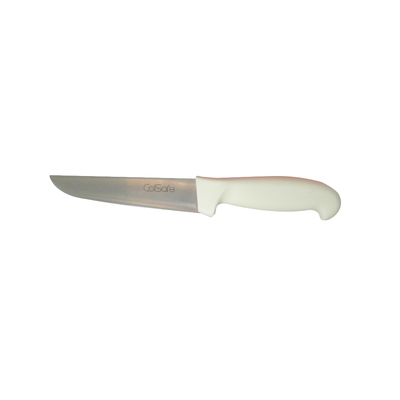 Home » Catering Supplies » Cooks Knife 6.5"
Our high-quality Cooks Knife selection has been manufactured specifically for use in high-traffic catering environments. 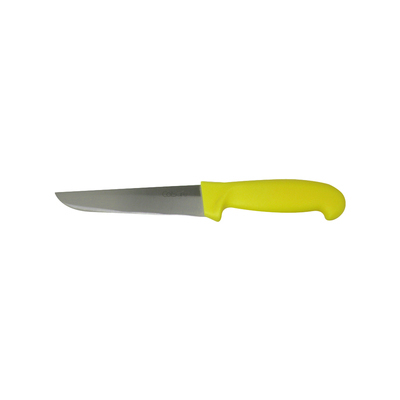 Featuring durable stainless steel blades that come pre-sharpened, each one has an ergonomically designed and comfortable colour-coded handle to avoid the cross contamination of foods. 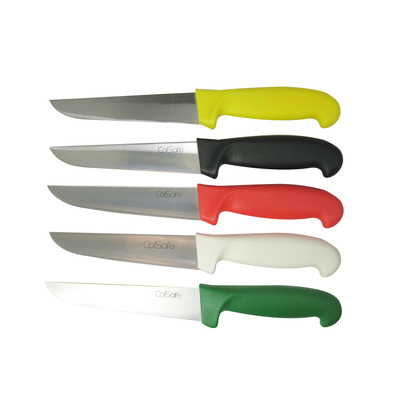 Partnering with our other lines of coloured cooking utensils, each utensil is perfectly suited to quickly chopping up different vegetables, meats and food goods to ensure the correct ingredient quantities are achieved during every meal. 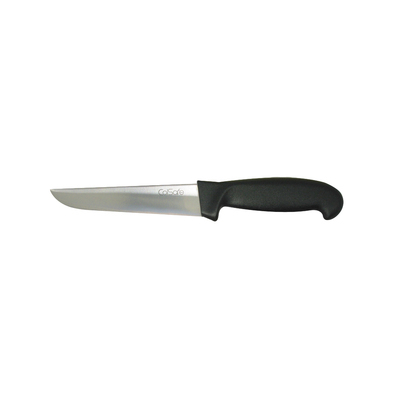 Quickly sharpened back to their original point with knife sharpeners and easily stored in a drawer or rack, choose one or all of these handy knives and ensure optimal hygiene at all times in your kitchen. 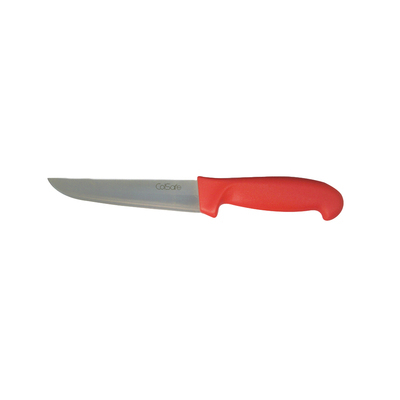 Alongside our cook's knife, we also have colour coordinated Chopping Boards to ensure optimal hygiene and prevent all kinds of cross contamination.